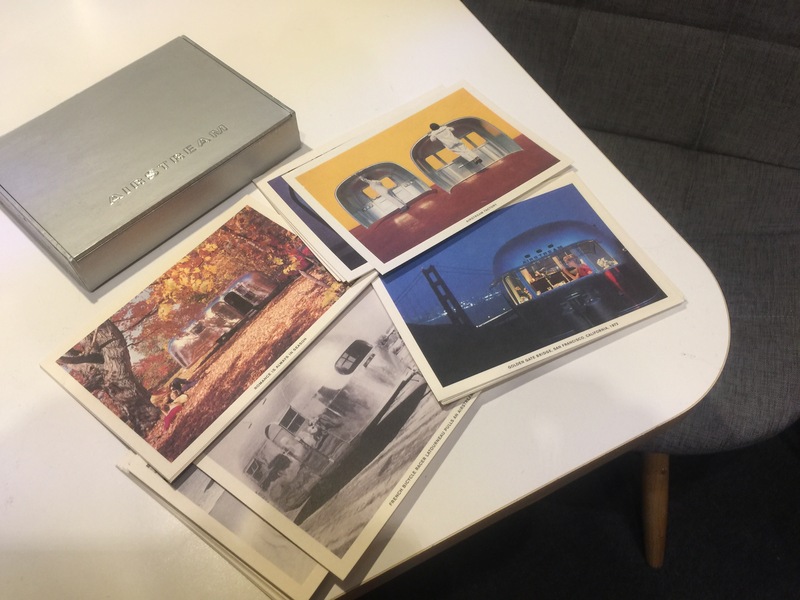 A very belated thank you to my friend and colleague, Terry who brought me this outstanding collection of vintage Airstream postcards housed in a great silver box. 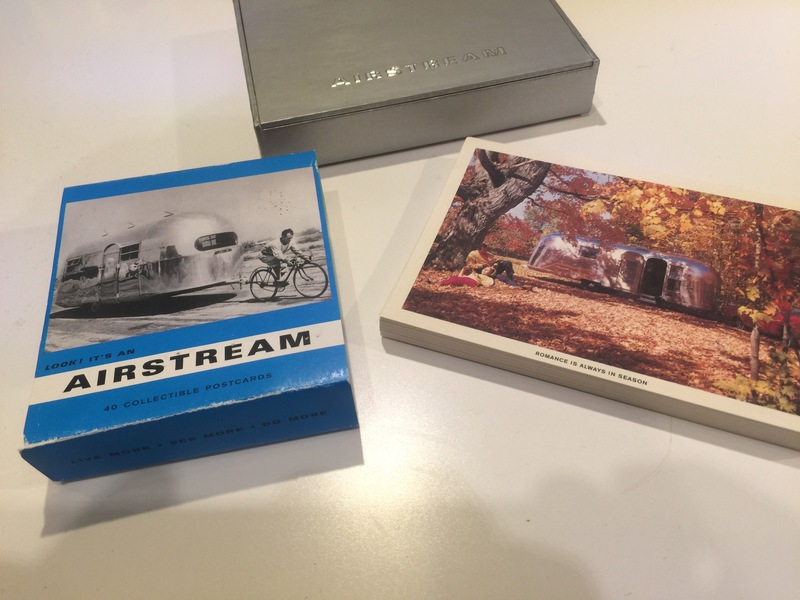 I keep looking through the deck of all the outstanding places that Airstreams have traveled! My favorites are the black and white image of Airstream at the pyramids in Egypt (!) and the beautiful fall scene shown in the image above. It looks almost just like Flo!! 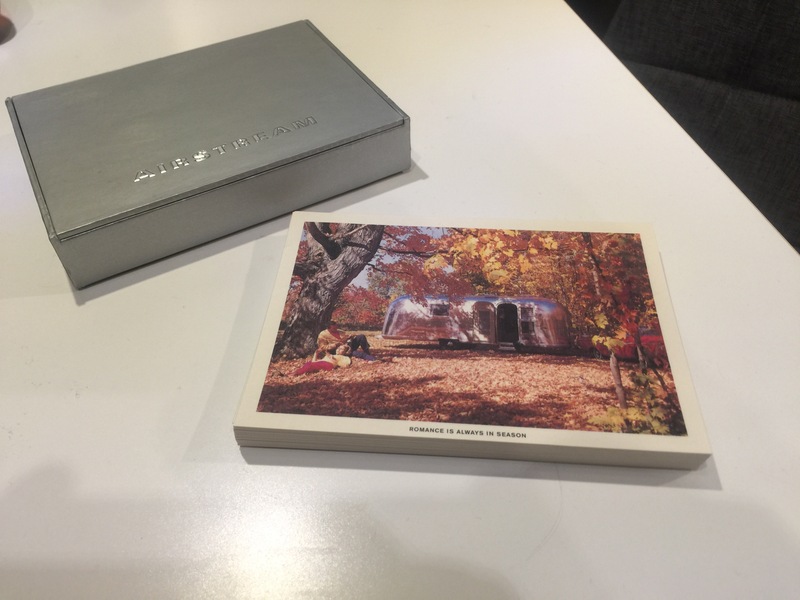 Oh my goodness, we have a fall picture similar to this of our vintage airstream, taken four days before Thanksgiving on one beautiful camping day years back. Next Next post: A new skirt for Flo.